Last weekend, while checking my usual daily websites....I came across mention of a gadget on gdgt called WakeMate. I have been toying with the idea of getting one of these gadgets for years, decades? Definitely well before I learned of my sleep disorders and started the therapy for them. Now I still have other problems and eventually hope to start some kind of treatment for those. Soon I'll be done with the joys of taking iron pills for the 'anemia'. So, while googling around trying to learn about WakeMate, I came across a review of Sleep Cycle. 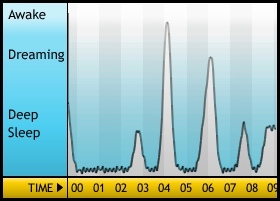 An iPhone app that also works by monitoring your sleep and trying figure out the optimal point in a window before your planned wake time to wake you. Give that it was only 99cents, I decided I didn't have anything to lose by trying it. Though it was kind of inconvenient that it was Sunday when I found it. But, I decided to start using it right away....seemed safe enough to try. 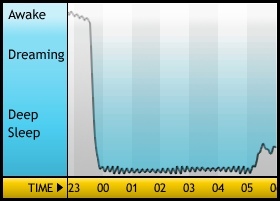 The window the app does is 30 minutes, and this first night it woke me 30 minutes before my normal alarm. 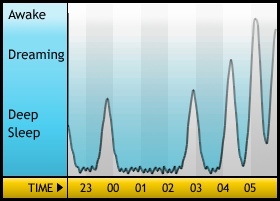 And, I certainly wasn't feeling it, so I ignored it and went back to sleep....ended up sleeping through to my normal 3rd alarm. The 3 alarm sequence is radio alarm, which is followed with a beeper alarm, which is then followed by a light coming on....a 55W CFL 5000K lamp. and was able to get out of bed. Had to hang around the bedroom to shush the alarm....but managed to get my morning things done and out the door at a good time. Woke up good on Saturday and managed to do all the errands I wanted to get done....first going to Aggieville and then later going the other way to Westloop. Sunday morning was also good, but then the lazy kicked in and I ended up not going out to do the other errands in the Westloop area. So, thinking I might hit Campus Food or something again. Hopefully doing something about the next thing wrong with me will finally do it. And, if so....how long have I been suffering? This latest step in my life started 2 months and 1 day ago. I was having my annual physical the day before I turned the Big 40. I don't recall exactly what led to it, but somewhere during the physical the doctor started asking me questions about my sleep, and coffee consumption (which is down from last year)....though I occasionally resort to other caffeine sources in the afternoon. The end result, other than the usual blood test (minus cholesterol check, because I had already had one recently since I'm being actively treated for high cholesterol....though I'd be curious what my total cholesterol is...or what my good cholesterol is.) He wanted me to get an Echo-cardiogram, because my heart murmur seems to have gotten more pronounced....though it could just be amplification due to my chest becoming more sunken. And, a sleep study. 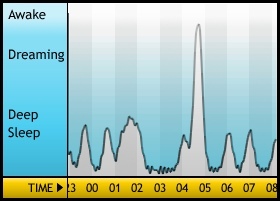 Meanwhile, I had the sleep study on December 1st. It was a split study, and I know I did doze off during the first part...because I was having my usual, semi-conscious dream... It was starting to get disturbing...when I was woken up to have the CPAP applied, etc. I don't know when I slept during the second part of things, because when I was woken the next morning...there had been an indeterminate passage of time and no dreams that I could recall. There are 18 years 8 months 27 days 13 minutes and 48 seconds until the end of time. And, it has been 6 years 4 months 13 hours 49 minutes and 8 seconds since The Doctor saved us all from the end of the World!